One of the interesting things about Pinotage, is the different guises in which it comes, much like South Africa’s other gem The Protea. Last week was National Pinotage Day and all manner of Pinotages popped up on social media last week. 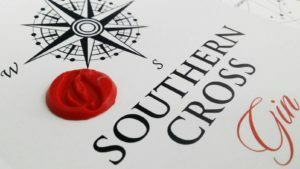 One that did not pop up was an utterly sublime and unique small batch gin called Southern Cross, which uses a Pinotage Distillate. 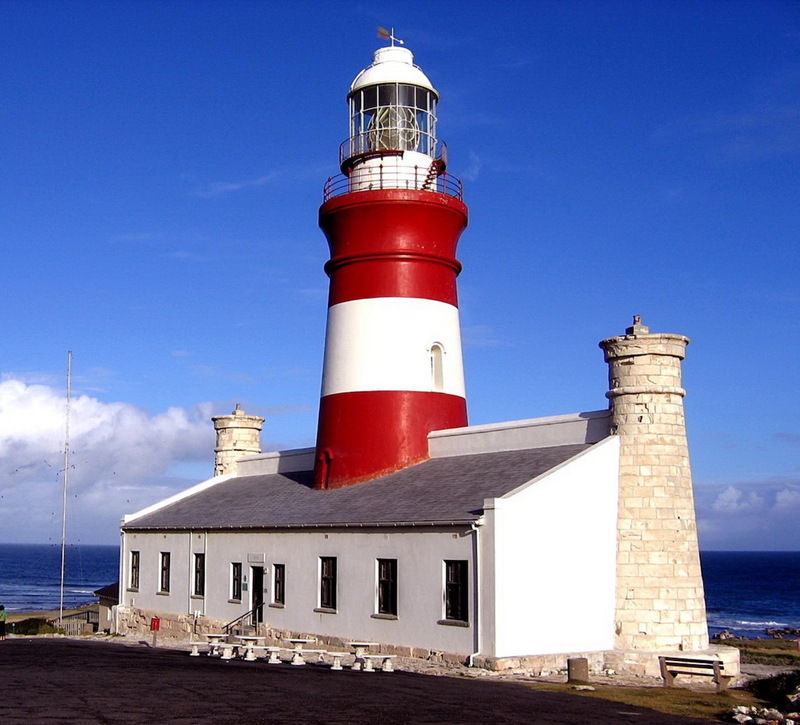 The grape based spirit is that of triple distilled Pinotage which is mixed with water from the Indian and Atlantic Oceans which meet at this southernmost point on the African Continent. It also contains a touch of artesial well water from Môrelig Farm close by. 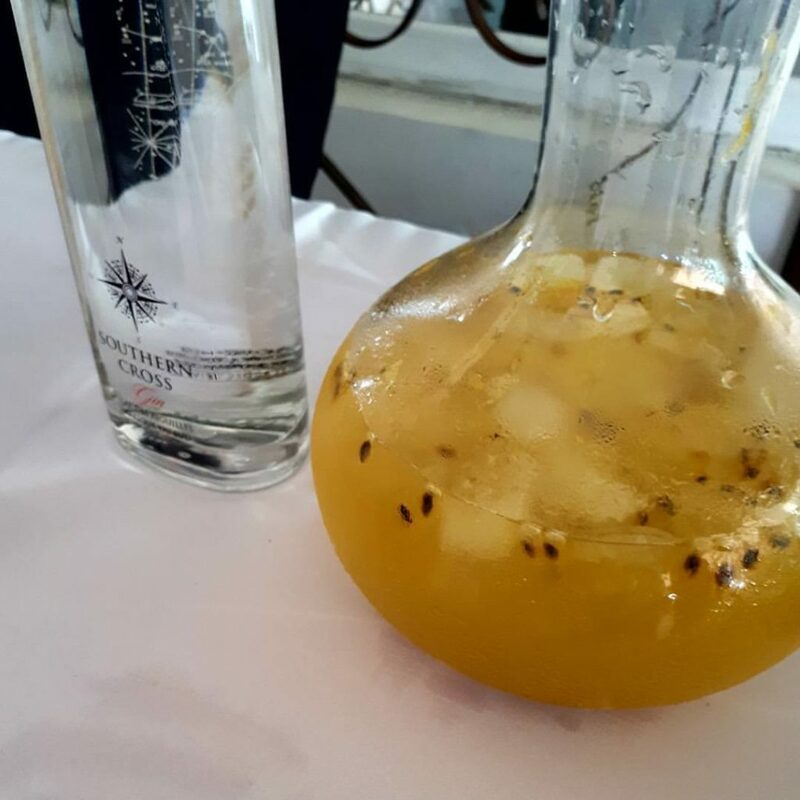 The base is blended with 21 different botanicals which include African Camomile, Blue Mountain Sage, Overberg Buchu, Kapokbos (Wild Rosemary), Fennel, Coriander, Lemon & Orange Peel, Pepper, Clove, Cardamom, Blue & Blackberries, Nutmeg, Cinnamon, Rooibos, Sage, Angelica Root, Naartjie, Jasmine and the all-important Scottish Juniper. Gin is not gin without Juniper. The aromas are complex with the botanicals, which repeat themselves on the palate in the soft mouthfeel with tropical spices and floral notes. And a whisper of minerals. Keep the bottle in the fridge so that it is ready for action when you are. Serve as you would a conventional gin with a double pouring over ice for sipping, I find you get the real flavours this way. 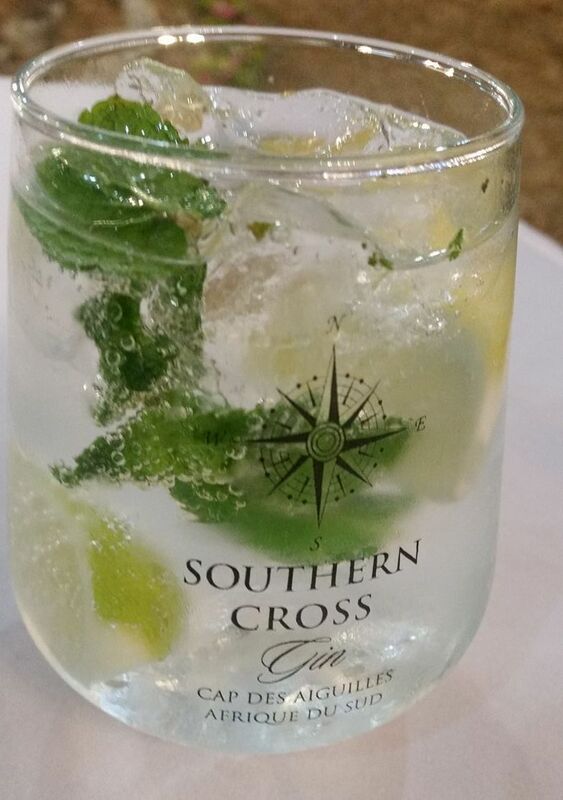 The Signature Southern Cross Cocktail is to scoop out a granadilla into the glass, add a shot of simple syrup and mint. Put the mint on the palm of one hand and clap your hands together, it releases the aromas immediately. Add ice and a splash of tonic. Stunning.